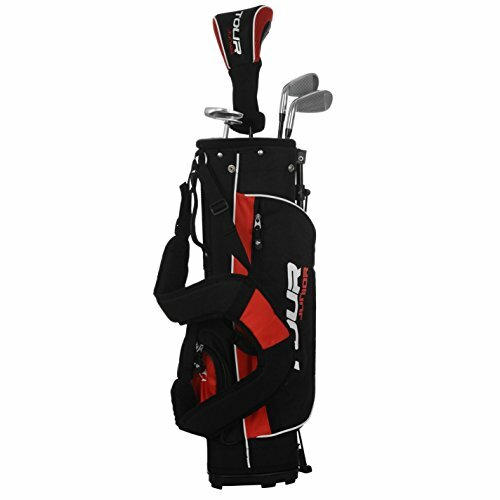 Whats the best starter set of clubs for Juniors? 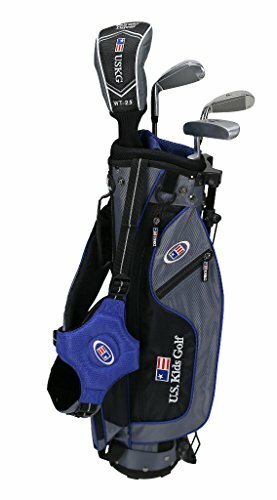 Whats the best starter set of clubs for children? What’s the best set of golf clubs for juniors? We need to encourage Juniors to start playing golf, it teaches them so many life skills, like sportsmanship, fair play and builds longlasting relationships with friends. So buying a set of clubs that work for them is very important. The best thing about juniors getting into golf is that they don’t have any stigmas about brands or snobbery for expensive clubs. This means they can enjoy the game for all the right reasons. As adults, we get caught up in the whole golf marketing world where we’re told you can hit it further and longer by spending more money. Golf is so much more than hitting the longest shot or having the perfect set of clubs. For me, the perfect set of clubs is one that’s the right length, and the right loft, other than that I don’t care if there PXG £8000 set or a £199 full set of Dunlops. 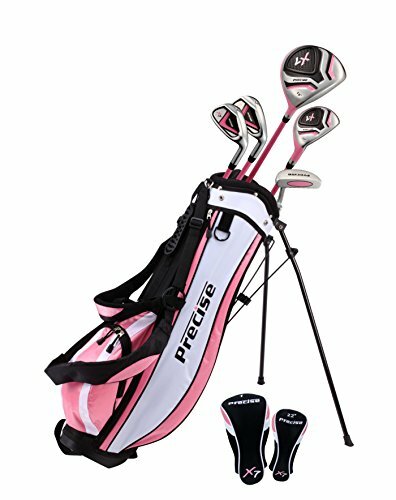 What should I think about when buying a clubs for my son or daughter? You need to consider three main points when buying clubs for Juniors. Weight, they will struggle to carry a full set over 18 holes and most Juniors won’t have a cart/trolley so they will need to carry their clubs. The number of clubs, most Juniors won’t use 14 clubs so you don’t need a full conventional set of clubs. 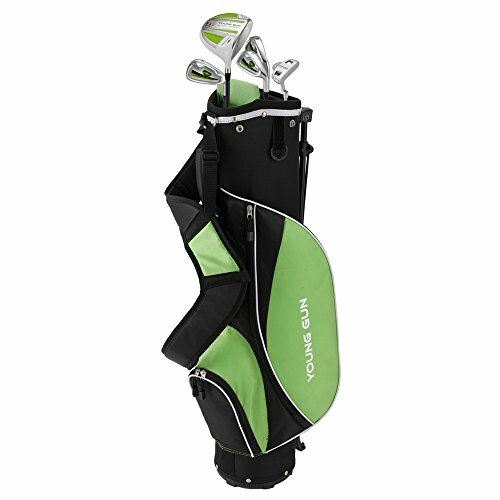 Most Junior sets have 7-9 clubs. Driver, Hybrid, 6,7,8,9, wedge and putter. 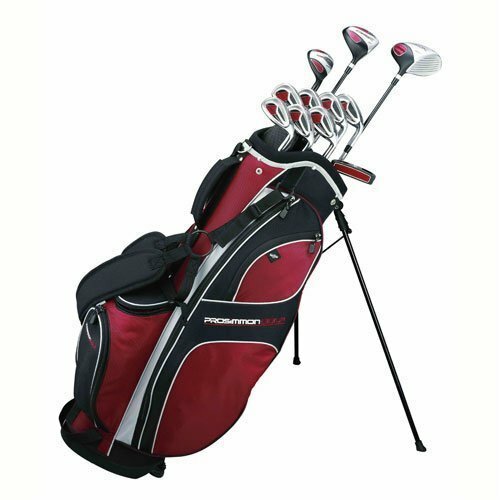 Then there’s the type of clubs available and cost, our advice is always to seek professional help from your Pro shop or club fitting center if possible. Most large golf outlets like American Golf offer a free fitting session for Juniors and Adults. How much should I spend on a set of clubs? Simple…. Buy the best set of clubs you can afford. However, cost should never stop you playing golf. I could play with a £50 set of clubs from a charity shop and I’d still enjoy it as much as playing with a set of £8000 PXG clubs. Like most Juniors, they start hobbies like Karate, Football and then give up after a few months so why spend loads of money on your first set of clubs. Granted, once they start to love golf and play more often they will want better equipment. 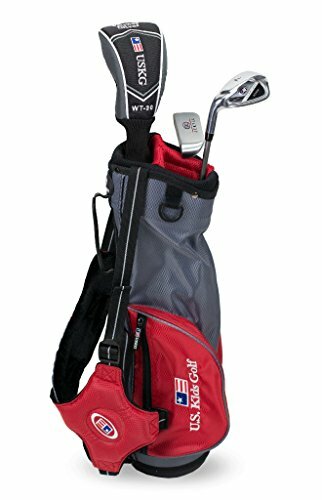 But to get them started, just get a basic set of clubs that look nice and new and shiny and don’t spend a fortune on them just in case they don’t end up liking the game. What type of balls should Juniors use? Don’t get too caught up and worried about this, the only consideration is their swing speed. Most Juniors swing less than 80MPH. Just buy a soft feel golf ball suitable for slow speeds like Srixon Soft feel or the even cheaper Dunlop DDH Golf balls. Trust me they won’t see much difference if you give them a 50p ball or a £3 Pro V1, again we blame then equipment too much, Juniors won’t do that. Buy a ball that’s soft and cheap! Should I buy them lessons? YES! Investing in lessons teaches them so much more than we can as parents, I mean who as a child listen to their parents? Get them involved in a Children’s golf group or golf lessons, they’ll learn to play golf the right way and won’t pick up any bad habits from us, they’ll also make friends. The more friends they make the more they will want to play golf. We all enjoy golf more when we play with friends, Right? We have found some great starter club clubs for Juniors for you, we have used our latest search engine software to compare golf prices from over 100 online stores to save you time and money. HIGH-LOFTED CLUBS ARE EASIER TO HIT! INCLUDES A JUNIOR HYBRID WOOD! ULTRALITE JUNIOR FLEX GRAPHITE SHAFTS ON ALL CLUBS! 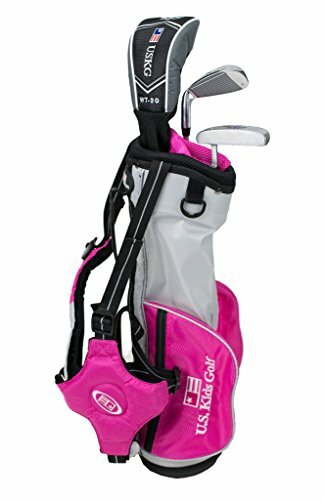 LIGHTWEIGHT JUNIOR GOLF BAG WITH STAND! DUAL STRAPS FOR BAG ALLOWS IT TO BE CARRIED LIKE A BACKPACK! Optimal Height Range: 45 to 48"
Optimal Height Range: 39 to 42"
A nice new set of clubs, a new box of balls that they can draw their name or initials all over and get them out in the fresh air having fun. Trust me they won’t mind what clubs they hit, they’ll just enjoy being out their spending some quality time with you or their friends.